The Vatican must sever "diplomatic relations" with Taiwan and stop interfering in China's internal affairs if it wants to normalize ties with Beijing, a leading Chinese Catholic leader said yesterday. The Vatican is the only government in Europe to recognize Taiwan and wants Beijing to grant the Pope supreme authority to appoint bishops on the mainland. China sees the Vatican's stance as interference in the country's internal affairs, Liu Bainian, vice-president of the Chinese Catholic Patriotic Association (CCPA), said. His remarks were in response to a report in the Italian daily, La Repubblica, on Tuesday that quoted him as saying he "strongly hopes to be able to see the Pope one day in Beijing to celebrate Mass for us Chinese". The report has been widely cited by international news agencies, but Liu said it had ignored the preconditions he had set. "What I meant was I hoped the Pope could visit China and celebrate Mass but only after normalization of diplomatic ties," Liu told China Daily. "If the two issues can be resolved properly, the two sides will have favorable conditions to improve ties." Liu's remarks came on the sidelines of a Catholic assembly in Beijing yesterday that was held to celebrate the 50th anniversary of CCPA. The Chinese Catholic society has vowed to adhere to independent selection and ordination of bishops and management of its churches. "Without independence, the Chinese Catholic society would not have been reborn," he said. The Chinese Catholic society is independent from the Vatican only in politics and economic policies. But in religious belief, Chinese Catholicism is the same as Catholicism elsewhere in the world, he said. China today has about 5 million Catholics compared to 2.7 million in 1958, according to official figures. More than 200 Catholic representatives, heads of other religions and government officials attended yesterday's meeting. 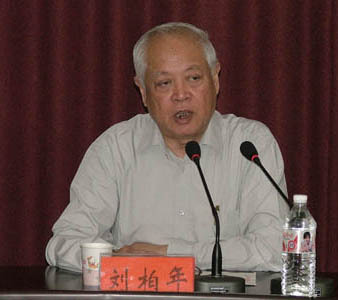 Ji Jianhong, chairman of the Three-Self Patriotic Movement Committee of the Protestant Churches of China, said: "Patriotism and religious belief are consistent in the Bible. Independence in religious operation has been a part of national sovereignty and the core of patriotism and religious belief."